I would like to extend my warm greetings to the valuable Australian people and all sectors of the Australian society. I also highly appreciate the Australians’ friendly nature and the warm welcome we have been privileged with in this beautiful country, which has created a healthy environment for successful bilateral relations between both countries. 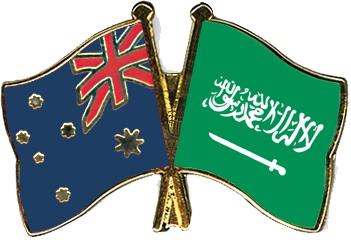 Saudi Arabia and Australia enjoy a cultural and scientific exchange that fosters good relations between both nations. Saudi students are the pioneers of the Saudi-Australian academic and cultural exchange. As a result of this successful exchange, the bonds between both countries are cemented deeper and the future co-operation is promising in the academic, cultural, scientific and technological fields. His Royal Highness and Custodian of the two Holy Mosques, King Abdullah, initiated the scholarship program in 2005. The purpose of King Abdullah Scholarship Program (KASP) was to enable a rising generation of citizens to engage with the world’s learning and knowledge, so as to cultivate in the Saudi people a talent to contribute to the advancement of the country through their own unique skill sets and prospective. In order to realize this goal, the Saudi Ministry of Higher Education set out to provide the appropriate guidelines for learning that would allow each and every student to obtain the academic degree of their choice, yet which were tailored to address the gaps in the Saudi economy; thus enabling the students to take part in the nation’s march towards the many facets of its development. Accordingly, the Saudi Ministry of Higher Education went on to expand its services, and established cultural missions abroad to take care of students studying away from home. Each student shall act as an individual ambassador of Saudi Arabia and shall represent the best aspects of its culture. KASP aims to attain a positive interaction with other cultures. Saudi Arabia is ever so keen to engage in cultural exchanges, as well as contribute its rich heritage and learn from the world’s cultures.